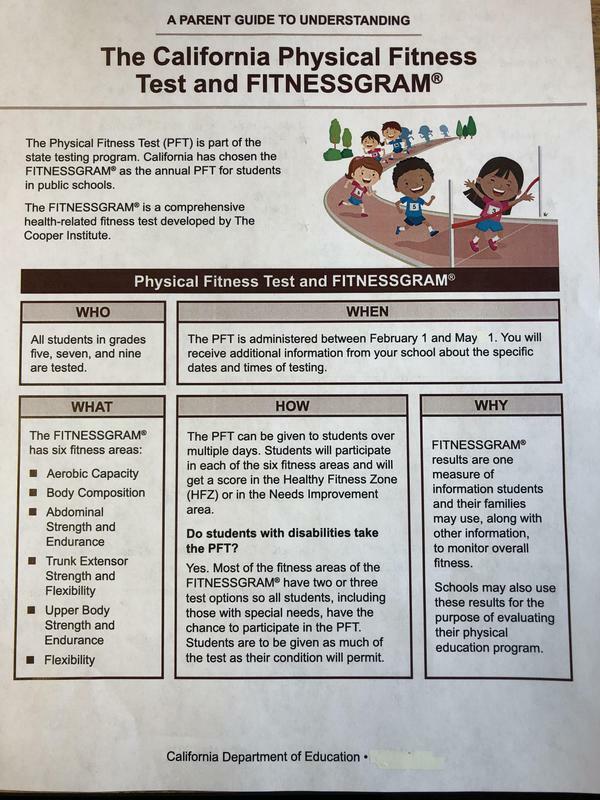 The Physical Fitness Test (PFT) is part of the state testing program. 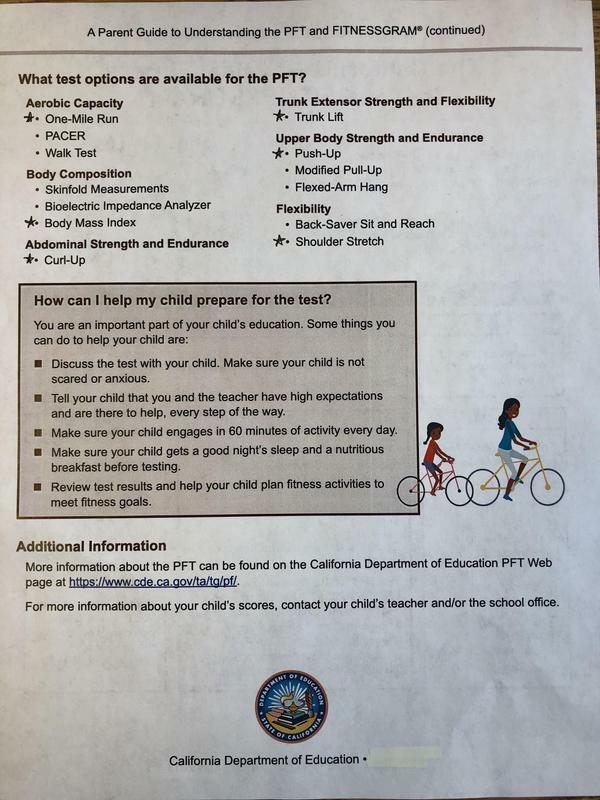 California has chosen the FITNESSGRAM as the annual PFT for students in public school. The FITNESSGRAM is a comprehensive health - related fitness test developed by the Cooper institute. Here at Baldwin Lane all students in 5th grade will be participating in the PFT. Starting now till May 1st. Below is a parent guide to help understand the test a bit better and how you can help your student prepare for the PFT. There is also a downloadable copy to print out.